Lineage: Constituted as the 512th Bombardment Squadron (Heavy) on 19 Oct 1942 and activated on 31 Oct 1942. It was re-designated as the 512th Bombardment Squadron, Heavy on 3 May 1944 and then again as the 512th Bombardment Squadron, Very Heavy on 23 May 1945. Although it was inactivated on 26 Mar 1946, the unit was revived as the 512th Reconnaissance Squadron, Very Long Range, Weather on 23 May 1947. 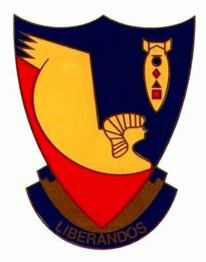 Two further inactivation and activations occurred until 25 Mar 1994 when the unit became the 512th Special Operations Squadron gaining its present name on 6 Oct 2000.